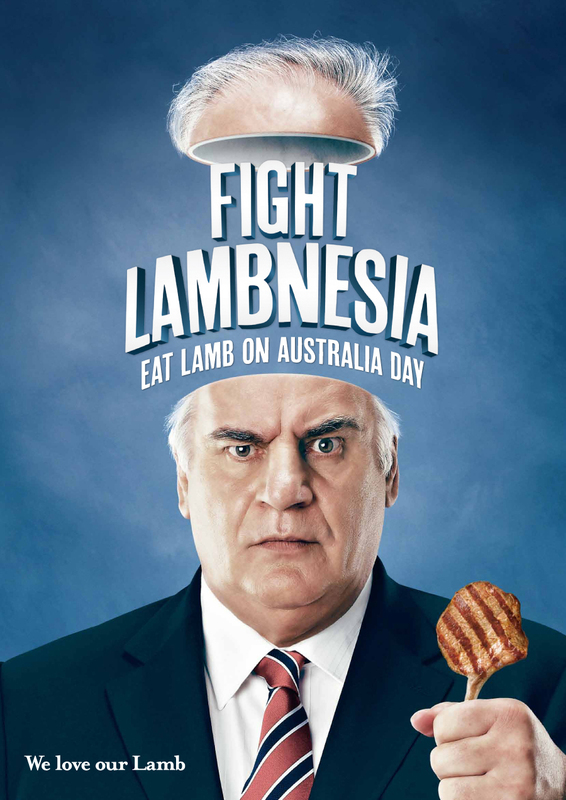 Meat & Livestock Australia has launched “Lambnesia”, a new advertising campaign featuring Lambassador Sam Kekovich. 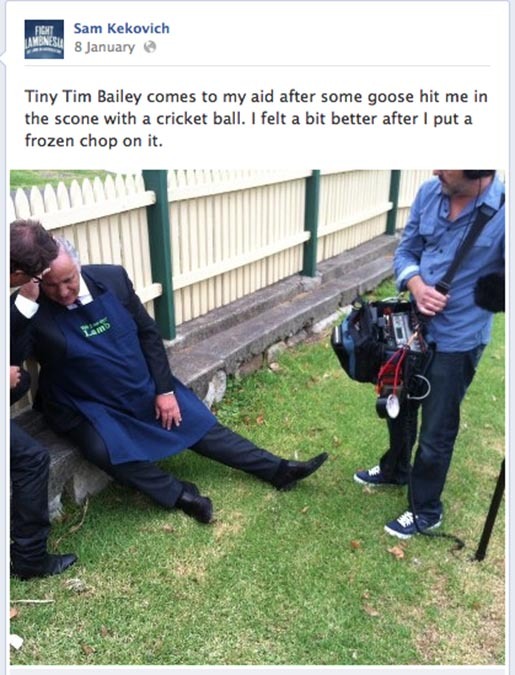 The 2013 campaign, with television and online commercial, point of sale, social media and integrated content, has Sam Kekovich suffering the after effects of a knock to the head from a cricket ball, reviewing the year just gone with a call to get lamb back on the nation’s menu. The campaign draws people to the National Lambnesia Quiz, online at lambnesia.com.au. 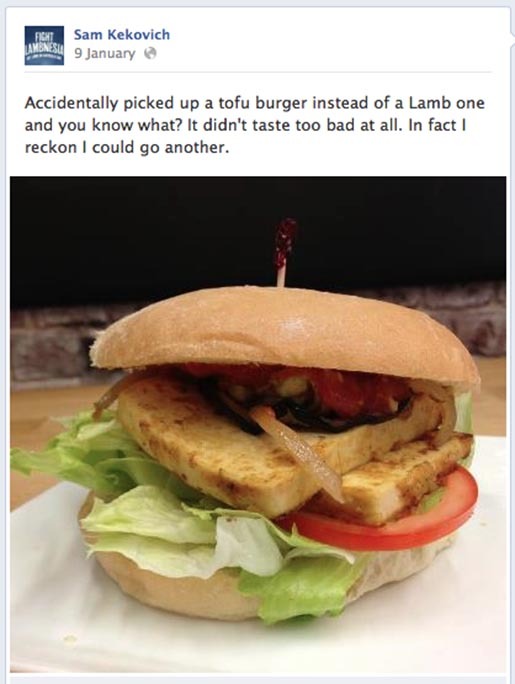 Sam Kekovich, now suffering from lambnesia, started posting unAustralian messages on his Facebook page and Twitter. A 90-second television commercial featured Sam coming clean on his Lambnesia condition. Realising that the only cure is lamb, he’s made it his mission to raise awareness of this most unAustralian condition. 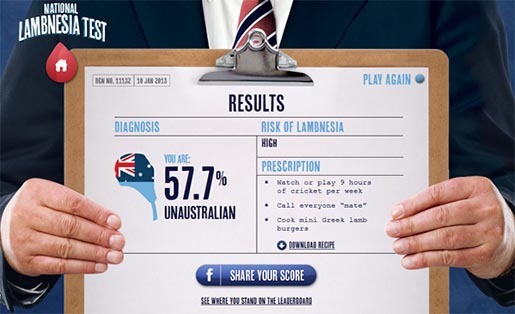 His solution: The National Lambnesia Test, an online game that tests your knowledge of Australian culture. The game lets you know how unAustralian you really are – and how much lamb you need to eat to be in chop shape on Australia Day. 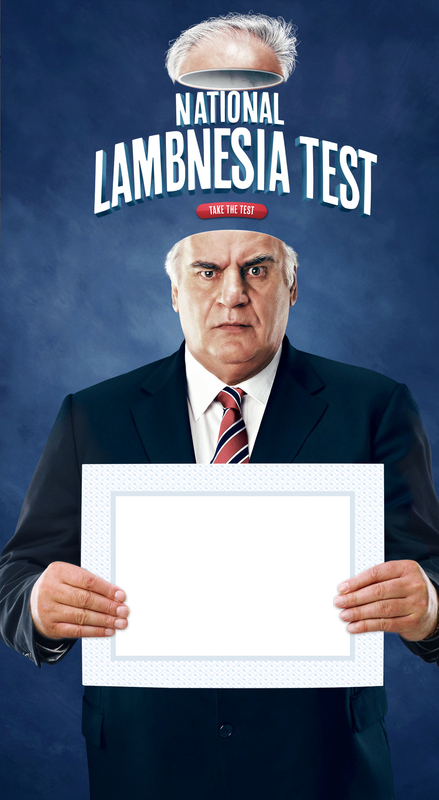 THe Lambnesia campaign was developed at BMF, Sydney, by executive creative directors Carlos Alija and Laura Sampedro, creatives Carlo Mazzarella and Jonty Bell, digital creatives Tim Smith and Simon Koay, managing director Stephen McArdle, planner Christine Aventi, digital project manager Rachel O’Toole, agency producer Sue Hind, interaction lead Nev Fordyce, technical director Doug Rathbone, account executives Sarah Hood and Rose Flowers, account director Kelly Howard, account manager Samantha Heckendorf, working with MLA marketing director Bec Morton. Filming was shot by director Taika Waititi via Curious Film with producer Peter Holani, producer Matt Noonan, director of photography Daniel Ardilley. Music and sound were produced at Sonar Music by Mikey Lira. Photographer was Mat Baker with producer Karen Liddle, designers Matthew Hughes and Indah Shillingford, art buyer Basir Salleh, illustrator Mike Watt.